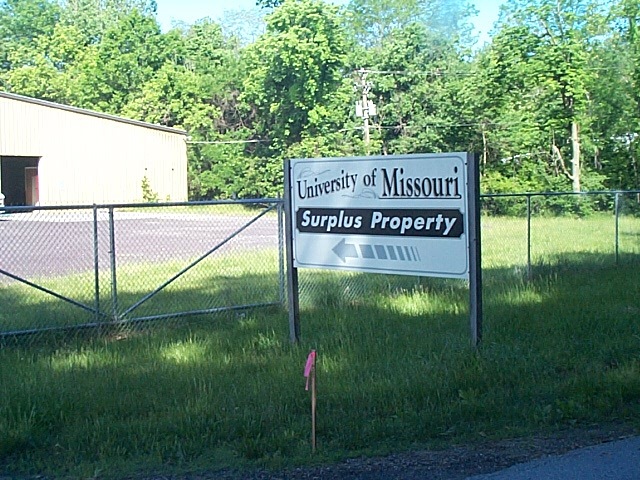 Surplus Property is a part of the Supply Chain that is responsible for the disposal, re-distribution, and/or sale of used equipment/property that the University of Missouri and other Mid-Missouri government agencies and educational institutions no longer use. The sale of this equipment is handled through public auctions, sales, online or walkin. Departments that have items to be surplused should complete and submit the UM Form 27 Property and Inventory Change Form before items can be picked up. Surplus receives no General Operating(G.O.) funds. All salaries, benefits, operational, marketing and sales costs are paid by the 35% retained from the sale of surplus equipment.